This article was posted on 25th July 2016. We love listening to what our followers tell us on our social media and it's fair to say, there's nothing you guys love more than a fresh, clean, blanc de blanc bedroom. 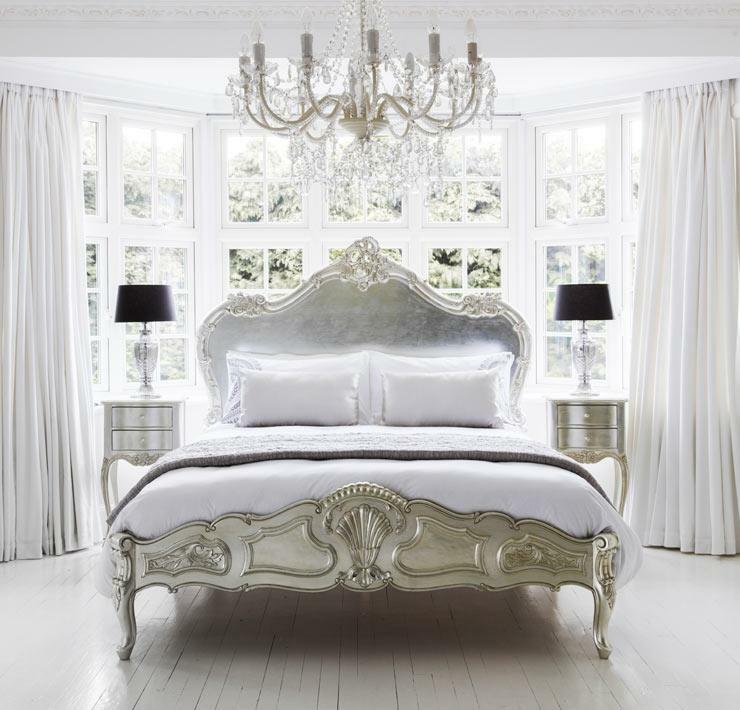 There's nowhere quite as calming and serene to lay your head at the end of the day than an all-white bedroom. Spa-like, airy and ethereal, these rooms compel relaxation and comfort - as all well-designed bedrooms should. Designing a room with such a limited, and possibly unforgiving, palette could be considered a challenge, but with some pointers from the girls who know their bedrooms (that’s us! ), you'll be well on your way to crafting your own heavenly retreat and sleeping in a fluffy, white, cloud in no time. With such a restrained use of colour, it's really important to use a variety of textures: velvety pillows, rich wool throws, soft linens all in shades of white and cream adding dimension and visual interest usually brought about by colour. Consider all of the available surfaces from ceiling to floor as opportunities to add additional layers of textural intrigue – a hide rug can give a differing natural tone or sumptuous ivory Icelandic sheepskin to sink your toes into first thing in the morning. 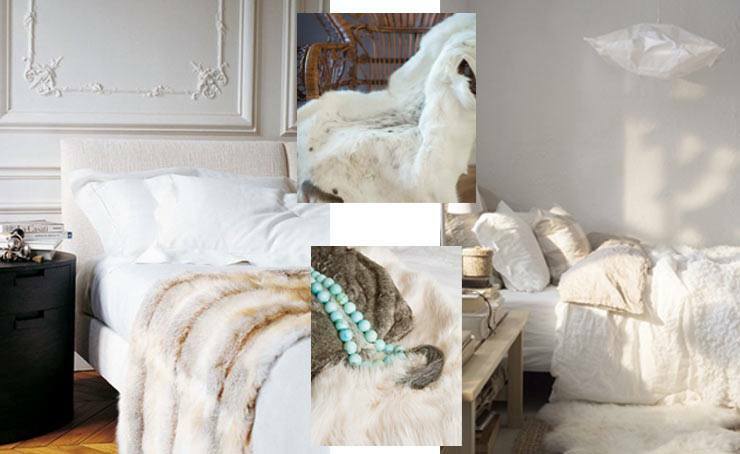 Arctic Reindeer Rug and Husky Faux Fur Throw. Create dimension in your space by incorporating a variety of "white" or "neutral" tones to highlight the room's various components. A husky toned throw on crisp white bedding, or a silver bedside table will still feel airy and light while adding depth and complexity to the look. For a bohemian vibe throw in splashes of bright colours, such as pinks, yellows, greens and marine blues. 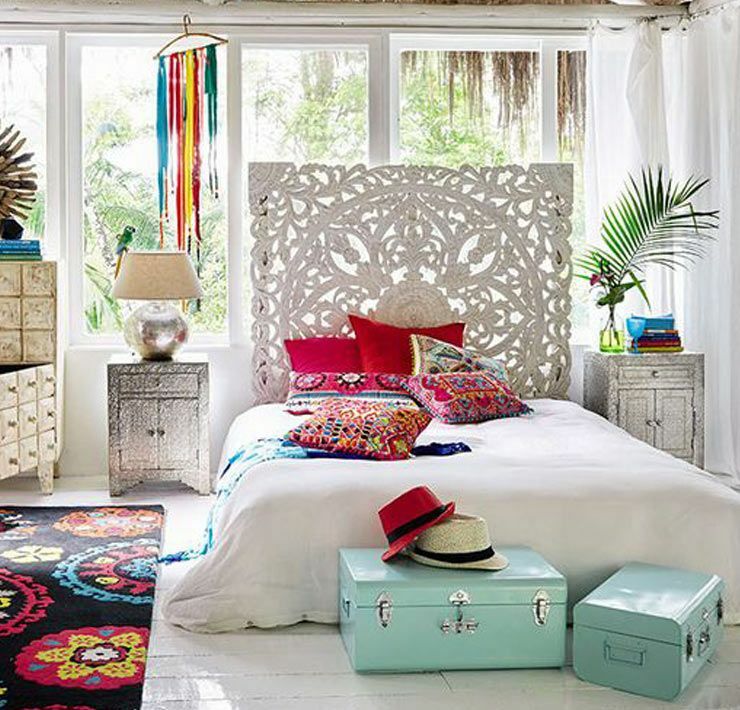 Use shabby chic furniture in your white bedroom to create that much loved, but well-designed aesthetic. One of our favourite, timeless go-withs for your white sleeping space is black – create a monochrome classic interior by accessorizing with rugs, candlesticks, wall art and just a touch of black in a larger piece – a chest of drawers, bedside tables or a console table. Gold, copper and silver components will add sparkle, shimmer and glamour to your retreat, as well as being bang on-trend. A completely white backdrop can have the same effect as a dark dramatic look in making these special metallic items pop and shine. Funky metallic bedsides, a contemporary lamp or a shabby chic French gold bed are all perfectly matched to a clean, bright white. Their reflective surfaces will distribute light and brighten the overall space. Silver French Bed, Silver Two-Drawer Bedsides and Bedside Lamps..
Make the space personal, as it'd be easy to leave the room looking a little like an art gallery; Once your white elements are set, add layers of decorative, loved accessories as you would in any other space, to add small dashes of colour and life. Worn books, a lush green plant, vases with flowers, meaningful objects, and photos all belong in any personal space - limited colour palette or not. Then lay back and take time to breathe in your beautiful new retreat.